DENVER, Colorado, February 9, 2011 (ENS) – The Colorado Oil & Gas Association has withdrawn its lawsuit against the Colorado Oil and Gas Conservation Commission over rules to protect drinking water, wildlife, and residents living near oil and gas operations. 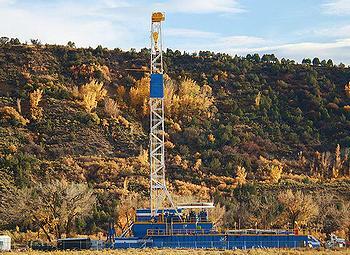 Colorado legislators in 2007 overhauled the state’s regulatory scheme to bring balance to oil and gas regulation. The commission adopted the new regulations in December 2008, and they took effect in April 2009. COGA filed suit against the regulations in Colorado’s 2nd District Court in Denver in 2009. On Tuesday, the court granted the industry’s motion and dismissed the case. The dismissal was agreed to as a result of discussions between COGA Board members and Colorado Department of Natural Resources Executive Director Mike King, who was central to drafting the new state oil and gas regulations in 2007 and 2008. “The Hickenlooper administration clearly recognizes this and is committed to a balanced and engaged dialogue moving forward,” Moore said. Tisha Conoly Schuller, COGA president and chief executive, also was pleased with the decision. “The new administration clearly recognizes the valuable contribution Colorado’s oil and gas industry makes to the economy and the importance of Colorado natural gas in reducing air pollution,” Schuller said. “We are confident that going forward we will have a place at the table and our concerns will be fairly considered,” she said. When the oil and gas industry association filed suit seeking to invalidate Colorado’s new rules, a coalition of sportsmen and conservation groups, represented by Earthjustice, intervened to oppose the challenge. The 2009 rules have not harmed oil and gas investment or cost jobs, said Freeman, citing recent state reports showing that drill rig and well counts have risen in Colorado and that processing times for drilling permits are shorter than they were under the pre-2009 rules. and gas activity.